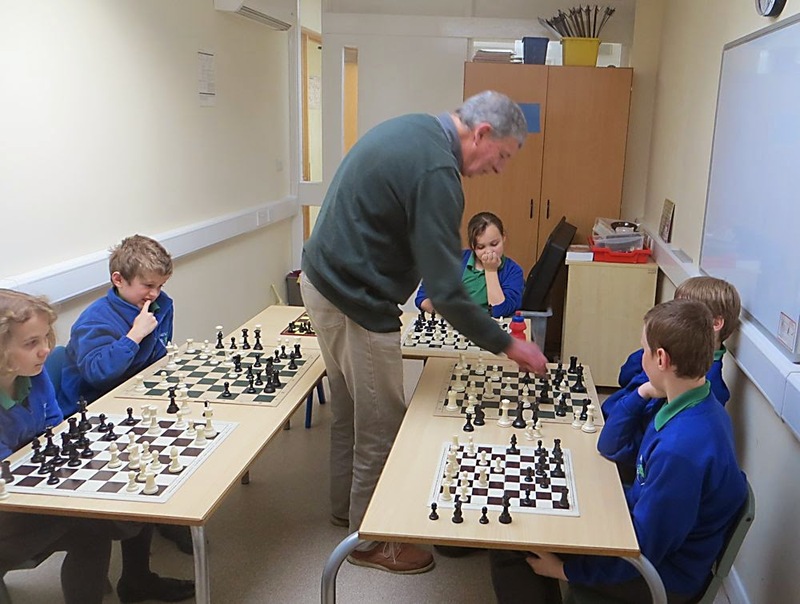 I (Bob Jones) went to Creeting St Mary Primary School today, where I was invited to play against six members of their chess club. (Modesty forbids me giving the results). The club meets every Tuesday after school, under the tutelage of local man Bill Mackintosh. There are currently 17 eager children who attend each week. The school is a model of what can be done. All that's needed is an enthusiast who is prepared to give up his or her time. The rewards are great, because the children's enthusiam is infectious.